Loading up on fruits and vegetables is one of the simplest ways to improve and maintain good health. A diet high in fruits and vegetables is associated with a decreased risk of chronic diseases such as heart disease, stroke, high blood pressure, diabetes and certain cancers. Although no single fruit or vegetable can provide all your nutritional needs, eating a wide variety of produce types and colors will help to provide the right balance of nutrients. To boost your intake, try adding the following healthiest fruits and vegetables into your daily diet. High in fiber, vitamin C, vitamin K and manganese, blueberries are packed with antioxidants that may reduce the risk of heart disease, diabetes, Alzheimer's and other chronic conditions. They are especially noted for their potential anti-cancer properties. In a 2017 study published in the journal Pathology & Oncology Research, researchers reported that the combination of blueberry extract and radiation therapy had a powerful effect on human cervical cancer cells, causing a 70 percent reduction. Read more: What Fruits & Vegetables Help Beat Lung Cancer? Like blueberries, blackberries contain vitamins C and K as well as manganese, along with B vitamins. Their antioxidant compounds may help to reduce inflammation and aging of the arteries, thereby providing protection from heart disease, cancer, inflammation, neurological diseases and other chronic conditions. Blackberries also are high in soluble and insoluble fiber, packing in 5.3 g of fiber per 100 g serving, the equivalent of 14 percent of the recommended daily allowance (RDA). Notably, fiber supports digestive and heart health and may assist in blood sugar control and weight management. Low in sugar but high in calcium, fiber, fatty acids and vitamin A, acai is considered a superfruit and has the highest Oxygen Radical Absorbance Capacity (ORAC), which measures a food's antioxidant power. 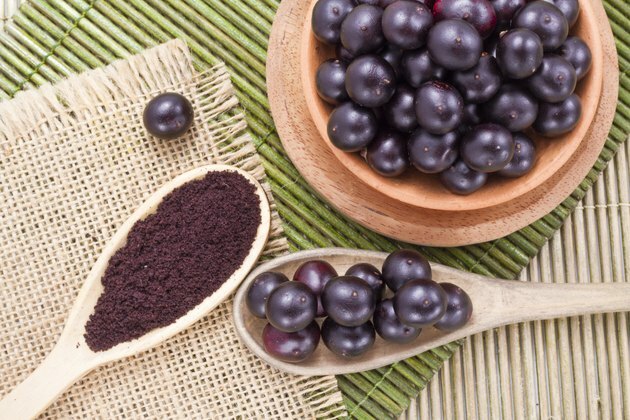 The antioxidants in acai berries may prevent certain health issues such as arthritis, inflammation, obesity, neurological diseases and inflammation. Furthermore, these powerful berries contain anthocyanin compounds, including resveratrol — even more than red wine — which gives acai its rich color and also helps protect against free radicals. Unlike most other fruits, avocados are high in healthy fats and low in carbohydrates. The primary fat in avocados is oleic acid, a monounsaturated fat that may help to reduce inflammation and boost heart health. They're also high in fiber, magnesium and potassium. In fact, one avocado provides 28 percent of the RDA, helping to reduce blood pressure and decrease the risk of stroke. This summertime staple is not only fun to eat and popular with kids, but also nutrient-dense and hydrating. One standard, 2-cup serving provides one-third of the RDA of vitamins A and C, plus potassium. It's also high in antioxidants, including lycopene, carotenoids and cucurbitacin E. Lycopene, in addition to protecting against cancers of the digestive system, also works to reduce cholesterol and blood pressure, improving heart health. Just one cup of carrots provides a whopping 428 percent of the daily RDA. Beta carotene, an antioxidant, is responsible for that bright orange color and may protect against certain cancers, particularly prostate and lung cancers. The body converts beta carotene to a form of vitamin A called retinal, an important molecule for maintaining normal vision. 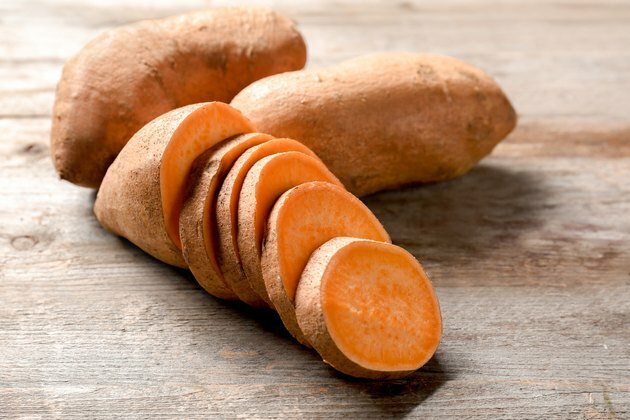 Sweet potatoes are an excellent source of potassium and fiber as well as carotenoids, the plant pigments behind the red, yellow and orange hues in some fruits and vegetables. Carotenoids provide antioxidant and immune system benefits and may protect against cardiovascular disease. Additionally, some carotenoids are converted in the body to vitamin A in the form of retinal. Containing vitamins C and K, folate, manganese and potassium, broccoli is in the cruciferous vegetable family (and it's one of the healthiest vegetables). It's rich in the plant compound glucosinolate, as well as sulforaphane, a glucosinolate byproduct that may provide anti-cancer benefits. Sulforaphane has been shown to cause apoptosis (cell death) in colon, prostate, breast and lung cancer cells. Additionally, sulforaphane may be helpful as a weight-management aid. In a 2017 study in the journal Diabetes, researchers compared mice fed with high-fat food alongside those fed high-fat food supplemented with sulforaphane. The latter group of mice gained weight at a rate 15 percent lower than that of the mice fed without sulforaphane. What makes kale one of the healthiest vegetables? Among the cruciferous family, kale is filled with vitamins A, C and K as well as folate, potassium, magnesium, calcium, iron, and fiber. It's one of the most nutrient-dense vegetables you can eat, but it's also low in calories. Like other leafy greens, kale has antioxidant compounds such as beta carotene, flavonoids and polyphenols that offer anti-inflammatory, anti-viral, anti-depressant and heart-protective effects and may lower blood pressure. Although you might not consider garlic to be a vegetable, given its herb-like ability to add flavor to many dishes, it's actually more vegetable-like because it grows underground, like onions and shallots. Not only is garlic a versatile cooking staple, but it's also beneficial for heart health and blood sugar regulation. It contains allicin, a plant compound that may inhibit the growth of human mammary endometrial and colon cancer cells. 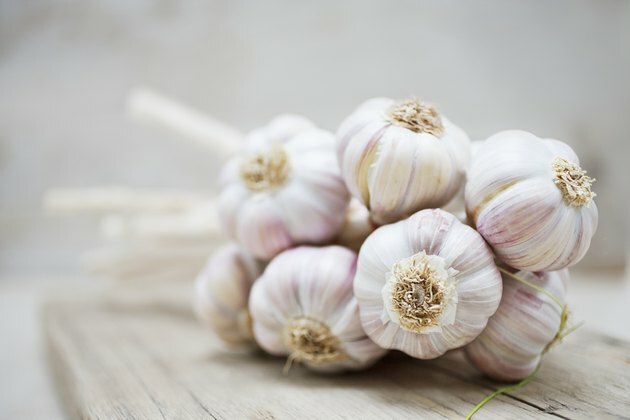 Moreover, garlic has historically been used medicinally for preventive and curative remedies, with roots tracing back to ancient China and Egypt. Start by replacing sugary and processed snacks with chopped fruits and vegetables, and make them easily accessible. Keep them on-hand in the refrigerator, pack them in to-go pouches, and add a fruit or vegetable to every meal or snack. Stock up on a variety of produce every time you hit the grocery store, and experiment with creating vegetable-based meals such as soups and salads. Little by little, you'll crowd out unnecessary foods with little nutritional value in favor of the healthiest fruits and vegetables. Live Science: What Are Carotenoids? Mercola: What Is Acai Good For? Mercola: What Are Blackberries Good For? Berkeley Wellness: Do Carrots Really Improve Eyesight?